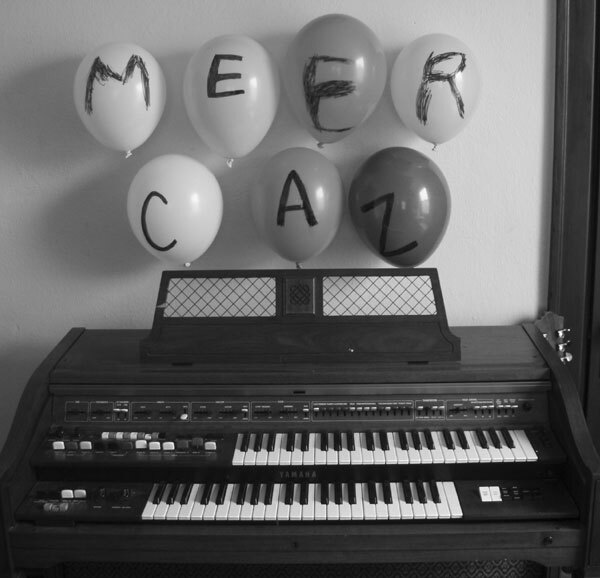 After a pretty distinct sounding debut 7″ and LP that garnered good reviews yet still managed to fly under the radar of most listeners, Sweet Rot is pleased to present a new single by Portland, Oregon’s Meercaz that takes the band’s output to new levels. Formed by frontman Muslim Delgado, Meercaz’s two songs here float hazily somewhere around Gizmos/Twinkeyz/Chrome proto-punk territory that solidly nail it in the songwriting department while still maintaining an appropriate amount of guitar damage and experimentation. A perfect single, in our minds, from one of America’s most underrated bands. On this record, Meercaz also features Kyle Raquipiso (ex-Meth Teeth) and Clay Silva (ex-Clorox Girls).